When it comes to skin care, expertise has its advantages. 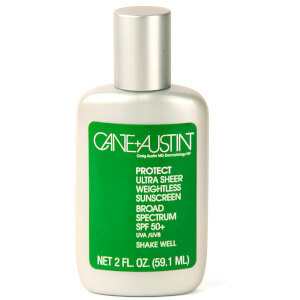 Cane and Austin is the result of 20 years of research into treating both aging and acne. Dr. Austin founded the brand with glycolic acid as its base. This wonder ingredient has the ability to clear the skin, lighten dark spots, smooth wrinkles and promote firmness and elasticity. 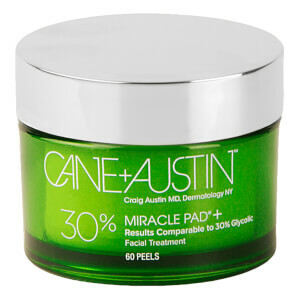 Cane and Austin offers effective glycolic acid treatment pads that are convenient and easy to use. The pads were developed with everyone in mind. Both men and women will benefit from the treatment pads and all different skin types can also expect to see marked improvements in their skin with regular use. The treatment solution is derived from natural sugar cane as well as other top quality beneficial ingredients that work in conjunction with the glycolic acid to refine and retexturize the skin. Cane and Austin is dedicated to delivering top quality products that can be used at home. In the past, this type of quality glycolic peel style treatment was only available through doctors. Now everyone can enjoy better looking skin without the trip to the dermatologist. The dermatological impacts of the aging process and of acne are some of the leading skincare issues both men and women grapple with. The Cane and Austin brand takes aim at both conditions with a revolutionary glycolic-acid-based product that's easy and straightforward to use, even as it offers a comparable approach to many expensive clinical procedures. The innovative Cane and Austin pads are stocked with pure glycolic acid obtained from sugarcane. They're designed to exfoliate the skin, shedding the layers of dead skin cells that can degrade the complexion as well as plug up pores, encouraging acne breakouts. 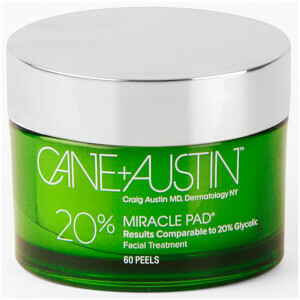 Cane and Austin products also draw upon such natural texture-boosting ingredients as witch hazel and green tea as well as the acne-fighting properties of salicylic acid, all combined in the brand's Acne Treatment Pads to powerful effect. In addition to exfoliation, the Cane and Austin formulations help your skin build back its collagen reserves for a revivified complexion, and are also richly hydrating. The brand's vision stems from decades of investigation into anti-aging and acne approaches by its founder, Dr. Craig Austin. Clinical trials have shown encouraging results, with many patients reporting more luminous, even-toned and textured, and youthful-looking skin within weeks of starting their Cane and Austin applications. Whether you're seeking some relief from the complexion-shattering effects of pimples and blemishes, or looking to counteract some of the cosmetic advertisements of the aging process, consider the varied products of the Cane and Austin line. They make for an elegantly refined approach to firmer, smoother, more lustrous skin. After treating patients at his practice for 20 years, board-certified dermatologist Dr. Craig Austin decided to formulate his own lineup of anti-aging skin care products. For the foundations in his collection, Dr. Austin chose all-natural sugar cane, which is rich in glycolic acid. This natural substance dissolves the bonds between dead and living skin cells to exfoliate and resurface the complexion. The importance of sugar cane to the formulations found in his collection even inspired Dr. Austin when naming the lineup, and Cane and Austin Products were born. All of the Cane and Austin Products contain extremely pure, potent doses of glycolic acid as well as nutrients that help protect the skin from the environmental damage that leads to premature signs of aging. In clinical tests, 87 percent of the study participants that used Cane and Austin Products noticed less wrinkles on their complexion and firmer skin within 28 days. In the fight against aging, glycolic acid is a powerful ally, resurfacing your complexion through natural exfoliation. The anti-aging Cane and Austin Products were created by a top dermatologist and contain some of the highest concentrations of glycolic acid available on the market today. 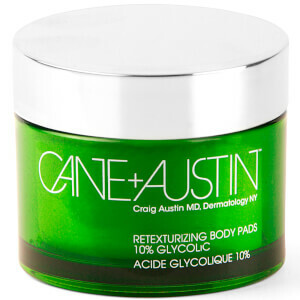 The Cane and Austin Acne Treatment Pads use glycolic acid derived from sugar cane to eliminate the dead skin cells that infiltrate the pores and lead to acne breakouts. In addition, the pads contain 2 percent salicylic acid, an ingredient that has long been used to loosen debris from the pores and heal acne. The gentle, yet effective formula found in the pads helps prevent dryness and irritation while clearing the skin, for quick, safe results. The Cane and Austin Retexturing Treatment Pads are the ultimate exfoliating treatment pads for the face. Formulated to be the perfect pH for maximum, yet safe results, the pads combine glycolic acid with vitamins A, C and E and coenzyme Q10 to reduce the appearance of fine lines, wrinkles and hyperpigmentation on your complexion, while preventing new signs of aging from forming. 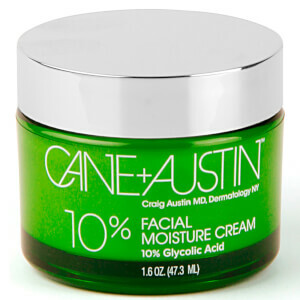 The Cane and Austin Retexturizing Moisture Cream combines 10 percent glycolic acid with hydrating emollients to replace lost moisture while lifting away dead skin cells from the surface of your complexion. Enriched with green tea extract, the cream delivers a powerful blend of antioxidants with each application and creates a barrier to shield your skin from the oxidizing free radicals that cause wrinkles to form.